At the outset, let me start off by saying that like the topic under which the OP has been filed (Hypothetical Battles), another Indo-Pak war seems very unlikely in the near future. Also, I am an Indian, so I am obviously biased towards India. However, for the purpose of this answer, I will try to stick more with facts and less with assumption about why I think India would have an upper hand in an India-Pakistan war. Military: India has a clearly larger military with access to more defense reserves, budgets and resources. Economy: A much better, stable and growing economy. India is one of the fastest growing economies in the world in the last decade and has been relatively unaffected by the general economic slowdown worldwide. Their economic stability will help them sustain the cost of war for much longer than Pakistan, if need be. Allies: With the rise of India’s economic, political and commercial status, they are way better positioned with their Allies. Pakistan has historically had US and China support them in all three wars fought in 1965, 1971 and 1999. But with the dynamics of US-Pak relations changing drastically after the killing of OBL, clubbed with India strategic partnerships with the US in the last five years, I think the US will most likely either take a neutral stand or try to get the UN involved to arbitrate. On the other hand, India can always expect support from Russia and Israel in getting appropriate weapons and intel to combat the enemy. Also, India will have a strategic geographic advantage of having an ally in Afghanistan on the other side of the Pakistan border. Note: I’m not sure how relevant this point may be in the context since the OP mentions “if no other country got involved.” I’m taking the liberty of assuming that both sides will take strategic, but not military help from their Allies. Strategy: India has a policy of “No First Attack” if the situation ever boils down to a Nuclear War. In such a scenario, India’s best bet will be to execute the reported Operation “Cold Start” to neutralize the enemy before they could launch an attack. Governance: India has been a stable democracy pretty much since the independence and partition. Unlike Pakistan, there has never been a tug of war between the Government, Military and the Intelligence Agency about who really runs the country. According to a report by Natural Resources Defense Council, India apparently has lesser nuclear warheads (about 35) compared to Pakistan (about 48). It’s natural to assume that any nuclear war will lead to a lot of casualties and destruction. That said, both the countries do not have enough nuclear weapons to destroy each other to Ashes. Assuming that the following key geographical targets are attacked in both countries, here’s how the overall impact will look. In such a post nuclear attack scenario, while India would have a slightly higher number of casualties, it will also proportionally wipe out a much larger picture from the Pakistani demographic. If there would be anything left for Pakistan to salvage by the end of it, India would still gain by having the advantage of a much larger military. 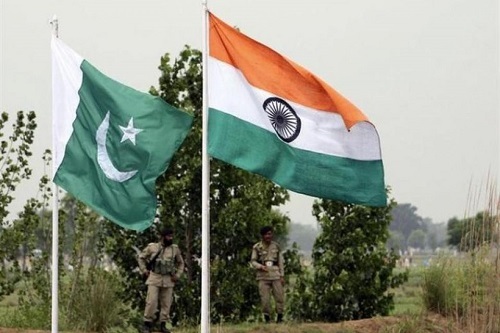 India enjoys a strong numerical advantage over Pakistan in both conventional and nuclear weapons, giving it an edge in its current confrontation with its perennial foe, according to data released by a leading US think tank. But a prominent US expert on South Asia also warned that the roughly two-to-one military advantage of the Indian armed forces makes it more likely that a cornered Islamabad could lash out with a nuclear strike. “If you had a full war between India and Pakistan, not just skirmishes on the border, India would start winning,” said former US ambasador Dennis Kux, who has served in both India and Pakistan. “And at a certain point Pakistan, rather than going under, would push the button,” he said on CNN’s The Capital Gang show. According to another report, India has more than 12 lakh soldiers on active duty compared to Pakistan’s 6.2 lakh. A similar advantage is observed in practically all major conventional weapons category, the survey showed. New Delhi’s arsenal includes 3,414 main battle tanks and 1,540 light tanks, while Islamabad’s heavy armor is limited to a total of 2,300 pieces. India is also better positioned in the sky, if its current tensions with Pakistan were ever to boil over into a shooting war. India’s air bases house a total of 738 combat aircraft while Pakistan’s house 353, according to CSIS. New Delhi also has nearly a five-fold advantage in transport aircraft and a six-fold advantage in combat helicopters, which, as events in Afghanistan have shown, can inflict devastating damage on ground troops. In addition, India has 37 Naval aircraft compared to Pakistan’s five, the reported indicated. Islamabad has an advantage only in self-propelled artillery, being able to field 240 pieces compared to India’s 180. But it loses out in towed artillery where New Delhi has a 4,175-to-1,467 advantage, the data showed. Kux said geography also favored India because an armored blitz across arid Punjab province toward the Afghan border could cut off Islamabad, the capital, from Sindh, the country’s economic powerhouse and its main port of Karachi. US experts believe that even in an exchange of nuclear strikes, India, while suffering tremendous losses, could have an advantage. Although no reliable official data is available, it is estimated that New Delhi has 400 kg of weapons-usable plutonium, according to the CSIS report. Since it takes about six kg of plutonium to manufacture a nuclear bomb, the amount would be sufficient to produce some 65 bombs if old technologies are used, or 90 bombs employing more advanced methods. By contrast, Pakistan is believed to have more than 200 kg of weapons-grade uranium, which is enough to construct 15 to 25 nuclear weapons, the report said. The relation between India and Pakistan has always been a complex one. Since the partition of British India, the Indo-Pak relationship has been plagued by suspicion and hostility. The peace talks, proposals and other noticeable steps taken in order to increase the harmony between the two nations allow us to believe that an Indo-Pak war is highly unlikely. Nevertheless, if the unthinkable happens, the damages will be catastrophic on both the sides. India, with a GDP eight times more than that of Pakistan, has a much healthier, steady and rising economy. In case of the outbreak of a prolonged war, the economic stability of India would allow it to put up with the cost of war for a longer duration than Pakistan – provided they are the only belligerents. India ranks 4th in the Global Firepower (GFP) ranking. India has an upper hand over Pakistan above the sea and also in air. Pakistan (ranked 17th in the GFP ranking) has no aircraft carriers. On the other hand, India has two aircraft carriers, one of which was recently commissioned. The Su-30 MKIs and soon to be purchased AH-64D Apache Helicopters secure air superiority over Pakistan. Pakistan, with an estimated 100-120 warheads, has a greater nuclear stockpile as compared to India (estimated 90-110 warheads). 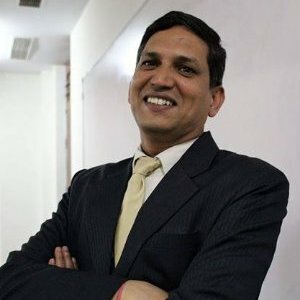 If the situation ever boils down to a nuclear war, India has a strict policy of “No First Attack.” India has boosted its nuclear triad – nuclear-armed strike aircraft, land-based inter-continental ballistic missiles (ICBMs) and sea-based submarine-launched ballistic missiles (SLBMs) – and now has a stronger nuclear deterrence capability. India has been a steady democracy pretty much since her independence. Unlike Pakistan, there has never been a tug of war between the Government, Military and the Intelligence Agencies about who really runs the country. India has a healthy relation with Russia and Israel, who in the scenario of war, will most likely provide India with appropriate weapons. Pakistan’s relation with US has suffered a lot since the killing of Osama Bin Laden. On the other hand, India and the US share an extensive cultural, strategic, military, and economic relationship. So, in the scenario of a war, US may support India or have a neutral stand, but is most likely to get the UN involved to arbitrate. Pakistan may have a support from China, which can cause India problems on its eastern side. India has a stronger arm in this matter, as it has an Ally in Afghanistan on the other side of the Pakistani border. Since her partition, India and Pakistan have had three wars fought between them, in 1965, 1971 and 1999. In all the three wars, India emerged victorious, although damages were suffered by both the sides. Although Pakistan has never been able to overpower India, neither has India been able to completely neutralize the terrorist threat from Pakistan. If India were to use its superiority in ground forces to seize a sizeable amount of Pakistani territory, Pakistan could respond with nuclear weapons. In case a war breaks out between the two countries, there is an assured loss of innocent lives and economic stability in both India and Pakistan. How hard is it to defeat India in a war in 2017 onwards and which countries will be able to do so? Before getting to that, let’s discuss another incident from world history. The year was 1954. Arguably the world’s most powerful nation attacked half of a small country. The former had fighter jets, bombs, missiles, napalms, tanks, ships and Aircraft carriers and hell lot of manpower to operate it. This country which was under attack had just got its independence from an oppressive colonial power, only a few years before this attack. Sufficient to say that, no one can expect those people to fight back against the world’s most powerful military, with their rudimentary weapons and untrained personnel. What followed resulted in a very long, costly and spine chilling war which saw everything from carpet bombings to Chemical weapons, Executions to Beheadings and Murders to massacres. But what happened at the end was even more unbelievable for the whole world. The superpower was defeated and those small people succeeded in uniting their war-torn nation. They joined their brothers and sisters on the other side of the border. The superpower was the USA and the small champions of this story were Vietnamese guerrilla soldiers known as Viet Cong. (Of course, they had some external help, but it was always their fight to win). Now let’s not digress from the topic at hand anymore. It is a fact that US has clearly lost the Vietnam war while fighting the untrained, ill equipped Vietcong. What will the enemy see when they come to fight a war against India? When a nation comes to attack India, they will have to face a nuclear armed nation, with the world’s 3rd largest highly trained active modern military force, which carries with pride, the legacy and experience of fighting 2 world wars, some regional conflicts and wars and many UN peacekeeping missions all around the world. Instead of an untrained civilian wielding a gun, they will have to face real soldiers. Instead of small, low altitude refurbished planes, they will have to face fighter jets. Instead of small boats with guns, they will have to face real ships, nuclear powered and armed submarines along with mighty aircraft carriers. But most importantly India has a 1.3+ Billion, patriotic young population which calls it home, a demography no other country in the world can boast of. If a small nation like Vietnam can beat (the crap out of) a country like USA at their home ground, it definitely will be the stuff of legends, what Indians will do to the people coming to defeat this nation. Now which countries can (be suicidal enough to even) attempt that? I don’t think any country with a living population will be stupid enough to do that, when they have a lot to gain from friendship with India. So who can defeat India in a war? As no countries will venture an all-out war with India, it is safe to assume that no nations can defeat India. Previous post The "Third Force"